The engine that drives increases in the quality of life in all societies may be seen to be the ever-increasing use of energy. However, the current dependence on energy from fossil fuels brings undesirable side effects such as environmental contamination that jeopardizes human wellness, carbon dioxide discharges that speed climate change, and geopolitical stresses due to the unequal allocation of fossil resources. The current challenge in the energy field is to discover competent ways to create, transport, and utilize energy in ways that don't threaten health, social status, pollution and climate change, or lead to class struggle, riots, and war. What is the Hydrogen Economy? The hydrogen economy is nothing more than an arrangement through which our energy requirements are chiefly met by hydrogen and not by fossil fuels. Instead of petroleum distillation, power from hydrogen fuel cells is used to power vehicles and homes. This kind of market economy would depend on inexhaustible sources of hydrogen gas and water, but it would also significantly alter how electricity is obtained, stored, and used, the generation of pollution, and external trade, all without affecting a people's quality of life. By conceptualizing a hydrogen economy, we are recognizing our need for clean-burning fuels that do not result in air and water pollution and that do not make us reliant on tapering energy sources. If the hydrogen economy is going to work, it has to be implemented and, at the same time, address a number of issues with the present state of petroleum dependence. Has the Hydrogen Economy Already Failed? Hopeful anticipation at the turn of the millennium envisioned a future in which clean hydrogen fueled vehicles and powered production operations and homes without threatening the environment. Even after a decade has passed, however, not much changed in this area. Although experts including economists, engineers, and governments have tried to visualize a hydrogen economy, we are nowhere near implementing one or attaining the predicted outcomes. Martin Green is sales and marketing director at Johnson Matthey, a UK-based specialty chemical company involved in the production of fuel cell parts for vehicles. 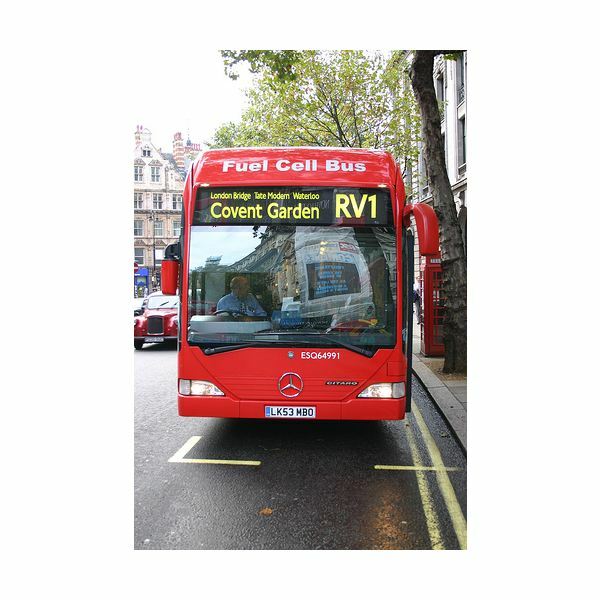 Says Mr. Green, as quoted by Dan Talpalariu, "Fuel cells have been a roller coaster of hype and disillusionment, but I am more confident now that the hydrogen economy is going to happen than ever before." Some analysts place blame on financial aspects instead of technical facets since the cost of fuel cell components is even now improving. At least in one way, a basis for the entire concept of the hydrogen economy is the price of fuel cell products. They consider that as soon as mass production and utilization is implemented, engineering will take up the matters of infrastructure and distribution. The government of President George W. Bush advocated long-range programs to move the US to a hydrogen economy. They declared that this would provide redemption from climate change and overseas oil and gas dependence. Regrettably, not an iota of these things is factual as the hydrogen economy can provide nothing. According to Michael C. Ruppert, the author of 2004's Crossing the Rubicon: The Decline of the American Empire at the End of the Age of Oil, the simple physical fact is that hydrogen is not practical due to a variety reasons, apart from it being only a medium of storage and not a fuel. If hydrogen has to be produced, then it requires a lot of energy as input. When calculated from this point, it can be found that the net energy input will have to be greater than the net energy output in the form of hydrogen. This makes the whole process more damaging to the environment. Many of the challenges associated with hydrogen fuel cells are engineering problems, but the one fundamental defect is that hydrogen in its free form is not the actual source of energy and it is only an energy transporter. Free-form hydrogen does not exist in nature; to obtain free hydrogen, some external force is required to break its molecular bonds. Fundamental chemistry has taught us that more energy is needed to break a hydrogen bond than is required to form one. This is in accordance with the Second Law of Thermodynamics. Being a simple element, hydrogen tends to leaks from a container- even if the container is very strong and is well insulated. This results in hydrogen evaporating at the rate of no less than 1.7% percent per day. Apart from this, hydrogen has the capacity to react quickly. When it comes in contact with metal surfaces, hydrogen breaks down into minute atoms so that it can break through the metal. This results in morphologic alterations that make the metal fragile. Also the size of the tank required to transport hydrogen for fuel cells is one the largest problems. If twenty gallons of gas has to be replaced, then the quantity of hydrogen in its gaseous form has to be around 238,000 liters, which is not a small quantity. Yet another problem is with regard to the liquid form of hydrogen, which has a density of 0.07 grams per cubic centimeter. This density will result in the requirement of four times the volume of gas for any given quantity of energy. Outside this, there are the energy prices to liquefy hydrogen and refrigerate it so that it stays in a liquid condition. Capturing sunlight through photovoltaic cells and applying the ensuing energy to rip water apart in order to obtain hydrogen is an idea which has been proposed for the "greening" of hydrogen production. However, the numbers still don't make sense. According to Ruppert, the amount of energy needed to manufacture 1 billion kWh of hydrogen is 1.3 billion kWh of electricity, and the quantity of water needed to bring this about would be tantamount to 5% of the flow of the Mississippi River! If solar energy is to be used for a hydrogen production set up, then the solar plant required would have to be instituted at a cost which could be fifty times as much as a coal fired plant. The infrastructure required would be enormous (even though there have been many advances in photovoltaic technology). Thus the major problem that we see with the production of hydrogen is that it is mainly based on the use of electricity for large scale hydrolysis, most likely from coal-burning power plants, or the steam reforming of methane. At least for now and the near future, hydrogen is an alternative fuel that requires fossil fuels.